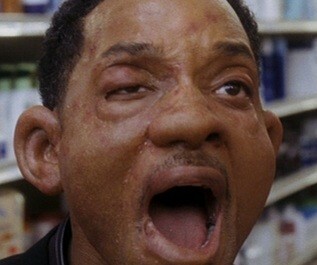 The first time I saw Hitch I was single. So it’s not surprising I really liked it. Hitch offers hope to those poor souls in the seemingly hopeless and endlessly frustrating world of dating. That’s why I was so surprised when I went back and watched it again after I was married. Suddenly the jokes fell flat, the story felt contrived, and the characters were annoying instead of charming. Let’s dive into Hitch to see where it went wrong after just a couple of viewings. From the opening montage, I was hooked by this movie. 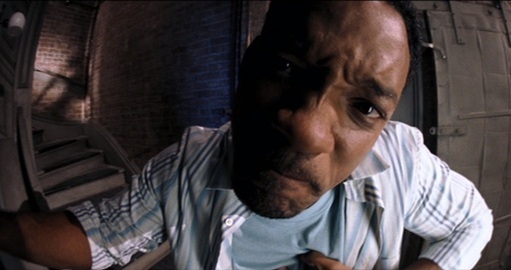 It was so much fun to see Will Smith’s character describing the rules of relationships and then setting up situations to help ne’er-do-wells introduce themselves to girls they like. As a guy, I can totally relate to girls not giving me the time of day, so I enjoyed living a dream through those people on the screen. When the movie proper starts and we’re introduced to Hitch’s love interest Sara, I wasn’t too impressed. How many movies have had a serious, career-minded man or woman who just needs to lighten up and fall in love? I thought that this movie would surely have a fresh twist on this familiar character. Albert Brennaman. Even just his name is great. I really liked Albert Brennaman’s character because he made every scene he was in hilarious. 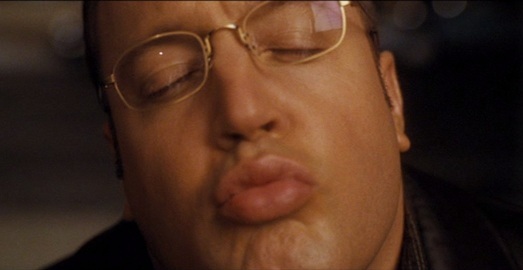 In fact, if it hadn’t been for him this movie probably wouldn’t have left such a lasting impression on me. He’s just such a delightfully dopey guy who is so chivalrous and kind that he just has to wind up with the girl of his dreams. 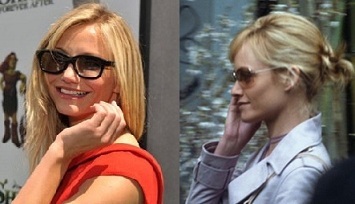 Also, maybe it’s just me, but I was completely fooled into thinking that Allegra Cole was played by Cameron Diaz. Did the filmmakers mean to do that? As I mentioned, the second time I saw Hitch was after I got married. So I had a little better perspective on life, women and romance. And suddenly I found it insulting to see the men in the opening montage using gimmicks to not only get women to notice them but to sleep with them shortly after. Call me a prude, but I don’t think that’s a healthy way to start a relationship. It’s recklessness built on top of deception. The second time around, Sara became even more annoying. I realized there is no reason Hitch should be interested in her or relentlessly pursue her except that the plot needed a dramatic second act and a major problem to overcome in the third act. And I’m sorry, but I just didn’t like Sara’s friend, what’s-her-name. It’s terrible that Sara’s friend is coerced into a bad relationship with a guy who never loved or respected her, but the whole thing felt extremely contrived to me the more I thought about it. Follow this string of coincidences with me for a second: This woman happens to be friends with Sara, who happens to be a gossip reporter, who happens to be dating Hitch, who happens to have briefly met the man Sara’s friend was betrayed by. And somehow Hitch gets blamed for the whole thing. This sounds like a ridiculous sitcom setup. The scene where Hitch can’t talk to Sara except through a closed door is painful to watch. 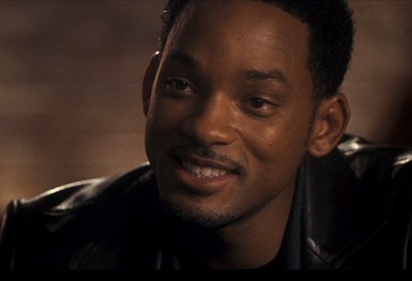 Will Smith is clearly trying to care about what he’s saying and doing, but he’s just flailing and failing. Sara doesn’t help anything by acting exasperated and distant right after a scene where she had been humbled and tried to apologize to Hitch. Their final scenes together are torturous as they try to get the audience to care about whether or not they’ll end up together. We already saw the two people we wanted to see end up together, and that was Albert and Allegra. When it comes right down to it, there’s only one thing about this movie that stands up to multiple viewings, and that’s Albert Brennaman. If I were you, I would watch this movie once to enjoy that character’s great scenes, and then just switch Hitch off. All photos are the copyright of their respective owners. This entry was posted in Movies That Get Worse and tagged albert brennaman, comedy, funny, hitch, movie review, movies, relationships, romance, romantic comedy, videos, will smith, youtube. Bookmark the permalink.